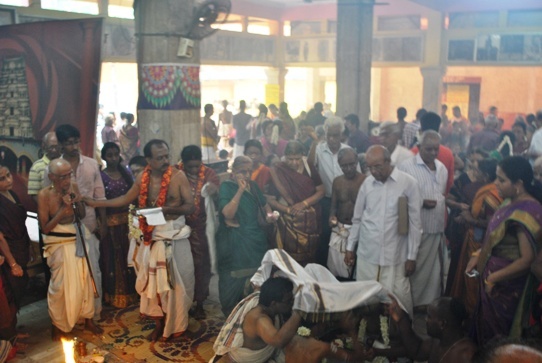 With the Blessings of His Holiness Pujyashri Jayendra Saraswathi Shankaracharya Swamiji, Samashti Upanayanam was performed at Sri Kanchi Kamakoti Peetam Shimatam Samsthanam, Kanchipuram on 1 June 2014 in the benign presence of His Holiness Pujyashri Shankara Vijayendra Saraswathi Shankaracharya Swamiji. Every year, Samashti Upanayanams are organized by Srimatam at Kanchipuram and other branches. 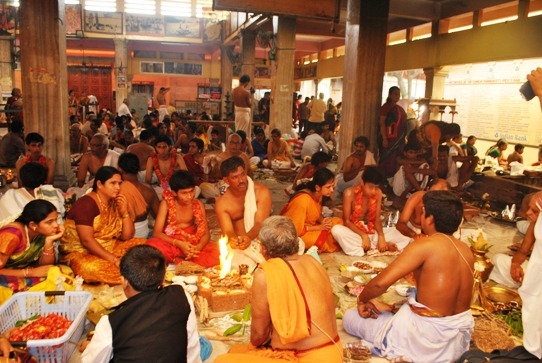 Previously, Samashti Upanayanam was performed on 20 Feb 2014 at Shrimatam.